A cracked windshield is not only dangerous, it can also land you a ticket if it obstructs your line of vision while driving. If you own a vehicle, it is your duty to invest in preventative maintenance and also schedule repairs when necessary. While almost every vehicle owner will face the dilemma of repairing a cracked or chipped windshield within their lifetime, it can be difficult to stumble through the process of windshield repair if this is the first time you’ve ever needed glass repair. Read on, and learn how to repair your damaged windshield so that you can keep the cost low and make the experience as stress-free as possible. 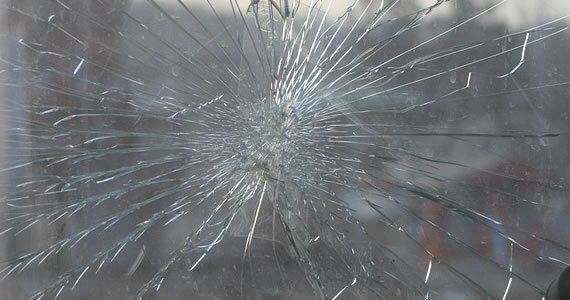 Why pay full price for auto glass repair when you pay insurance premiums for coverage that will pay for glass breakage? Many individuals are hesitant to call their insurance agent to verify their options in fear of premium surcharges, but this is not something to worry about when the claim is centered around auto glass. If you carry comprehensive coverage, the comprehensive deductible will apply to glass claims. Luckily, if you have a low deductible, you may save hundreds of dollars on windshield replacement or moderate repairs without having to worry about your rates going up in the future. Once you verify your coverage, the next step is to find a trusted glass company that will work directly with your insurer so that you don’t have to worry about going through the process of reimbursement. The best way to do this, is to take your vehicle in to an auto repair shop and get an estimate. While your vehicle is being appraised for the cost of repairs, find out if that if that company will work with your insurance. Most auto repair shops should work with your insurance, but be warned that some do not. Also, many glass companies that partner with leading insurers will actually file your auto insurance claim for you to make the process of glass repair as easy as possible. Compare different companies to verify this is an option. There is a major difference between a chip and an crack. Typically, a chip is smaller than the size of a quarter, and a crack is anything larger a quarter. If you have a small chip, you may be able schedule rock chip repair rather than a full-fledged replacement. Chip repair involves using a professional resin to seal the chip so that your windshield is as good as new without paying the cost for replacement. Some insurance companies may even waive your deductible if chip repair is a viable option. Be sure to discuss whether you should repair or replace your windshield with professionals like those at www.triglassinc.com or your local repair shop before you make a decision. Once you verify your auto coverage and choose the right professional using the best repair products and materials in their window repair kit, you can erase the chips or eliminate the cracks.